Want to be an absolutely terrifying ghoul this year for Halloween? Well, then you need to be something unexpected. There will be plenty of vampires and werewolves creeping around in the shadows. Zombie costumes will flood the streets. So it will be up to you to be a whole new kind of horror that keeps people up at night. We think we have just what you need to get plenty of screams this year. Check out this Adult Light Up Gauze Zombie Costume. Sure, ‘zombie’ is in the title of this costume, but have you ever seen a zombie as haunting as this one? Most are just grotesque rotting corpses with nothing but hunger on their mind. In this costume, however, you will look much more terrifying than some undead fatty. It will look as if you were summoned from the deepest depths of hell to bring a reign of terror to an unsuspecting world. This costume comes with a black robe as well as a frayed gauze robe to add an underworld kind of vibe. This costume also has a pair of light-up glasses. You can freak so many people out when you stare into their soul with your beady red eyes! 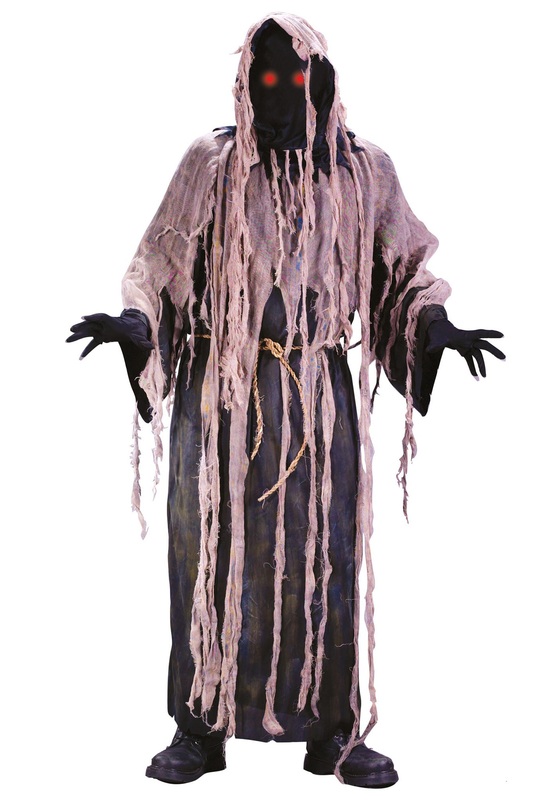 Dress up in this Gauze Zombie Costume this year and bring a whole new level of scary to the party scene! Halloween has been getting way too light-hearted lately. Make things a bit darker this year with freaky messages from beyond the grave. News about the end of the world is always sure to kill the mood! The weight of the glasses switch box kept pulling the glasses down, the cover kept getting caught on everything.